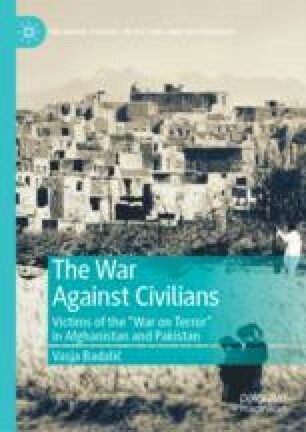 This chapter examines the targeted killings of civilians by pro-government armed groups in Afghanistan. The first two sections explore the too-broad criteria used by pro-government militias for determining legitimate military targets. The targets included civilians perceived to be linked to the insurgency (e.g., family members and relatives of alleged insurgents, civilians suspected of providing assistance to alleged insurgents) and civilians who, despite not being linked to the insurgency, refused to submit themselves to the authority of the militias (e.g., political and religious figures objecting the militias’ activities, civilians refusing to pay illegal taxation imposed by the militias). The third section explores how the criteria for determining targets of killings ignored the standard definitions of legitimate military targets in non-international armed conflicts. Ahmadi, Nematullah. 2017. “Takhar Residents Complain of Illegal Armed Group’s Tyranny.” Tolo News, August 14. http://www.tolonews.com/afghanistan/takhar-residents-complain-illegal-armed-group%E2%80%99s-tyranny. Accessed on 2 February 2018. AIHRC (Afghanistan Independent Human Rights Commission). 2012a. Citizens Access to Justice. Kabul: AIHRC. http://www.aihrc.org.af/media/files/AIHRC%20Report%20on%20Decree%2045%20(English)-final.pdf. Accessed on 1 January 2018. ———. 2012b. From Arbaki to Local Police: Today’s Challenges and Tomorrow’s Concerns. Kabul: AIHRC. http://www.aihrc.org.af/media/files/Reports/Research/English/Report%20on%20Afghan%20Local%20Police%20(Final%20Draft,%20English).pdf. Accessed on 1 January 2018. Aikins, Matthieu. 2011. “Our Man in Kandahar.” The Atlantic, November issue. https://www.theatlantic.com/magazine/archive/2011/11/our-man-in-kandahar/308653/. Accessed on 9 February 2018. ———. 2014. “A US-Backed Militia Runs Amok in Afghanistan.” Al Jazeera, July 23. http://america.aljazeera.com/articles/2014/7/23/exclusive-a-killinginandar.html. Accessed on 1 January 2018. Cavendish, Julius. 2011a. “CIA Trains Covert Units of Afghans to Continue the Fight Against the Taliban.” The Independent, July 19. http://www.independent.co.uk/news/world/asia/cia-trains-covert-units-of-afghans-to-continue-the-fight-against-taliban-2317182.html?printService=print. Accessed on 4 February 2018. ———. 2011b. “Afghanistan’s Dirty War: Why the Most Feared Man in Bermal District is a U.S. Ally.” Times, October 4. http://content.time.com/time/world/article/0,8599,2096079,00.html. Accessed on 4 February 2018. Clark, Kate. 2017a. CIA-Proxy Militias, CIA-Drones in Afghanistan: ‘Hunt and Kill’ déjà vu. Kabul: Afghanistan Analysts Network. https://www.afghanistan-analysts.org/cia-proxy-militias-cia-drones-in-afghanistan-hunt-and-kill-deja-vu/. Accessed on 1 January 2018. ———. 2017b. More Militias? Part 1: Déjà vu Double Plus with the Proposed ‘Afghan Territorial Army’. Kabul: Afghanistan Analysts Network. https://www.afghanistan-analysts.org/more-militias-part-1-deja-vu-double-plus-with-the-proposed-afghan-territorial-army/. Accessed on 17 January 2018. Dozier, Kimberly. 2014. “Exclusive: CIA Falls Back in Afghanistan.” The Daily Beast, May 4. https://www.thedailybeast.com/exclusive-cia-falls-back-in-afghanistan. Accessed on 29 January 2018. Faizy, Sultan, and Shashank Bengali. 2016. “Afghanistan Tries to Clean Up Its Militias, Both Legal and Illegal.” Los Angeles Times, October 21. http://www.latimes.com/world/la-fg-afghanistan-militias-snap-story.html. Accessed on 3 February 2017. Gibbons-Neff, Thomas, Schmitt Eric, and Adam Goldman. 2017. “A Newly Assertive C.I.A. Expands Its Taliban Hunt in Afghanistan.” The New York Times, October 22. https://www.nytimes.com/2017/10/22/world/asia/cia-expanding-taliban-fight-afghanistan.html. Accessed 2 January 2018. Goodhand, Jonathan, and Aziz Hakimi. 2014. Counterinsurgency, Local Militias and State-Building. Washington, DC: United States Institute of Peace. https://www.usip.org/sites/default/files/PW90-Counterinsurgency-Local-Militias-and-Statebuilding-in-Afghanistan.pdf. Accessed on 2 January 2018. Gopal, Anand. 2014. “The Wrong Afghan Friends.” The New York Times, May 30. https://www.nytimes.com/2014/05/31/opinion/the-wrong-afghan-friends.html. Accessed on 31 January 2018. Graham-Harrison, Emma. 2013. “Hamid Karzai Seeks to Curb CIA Operations in Afghanistan.” The Guardian, April 19. https://www.theguardian.com/world/2013/apr/19/hamid-karzai-curb-cia-afghanistan-operations. Accessed on 31 January 2018. Hewad, Gran. 2012. For a Handful of Bolani: Kunduz’s New Problem with Illegal Militias. Kabul: Afghanistan Analysts Network. http://www.afghanistan-analysts.org/for-a-handful-of-bolani-kunduzs-new-problem-with-illegal-militias/. Accessed on 2 February 2017. HRW (Human Rights Watch). 2011. “Just Don’t Call It a Militia”: Impunity, Militias, and the “Afghan Local Police.” New York: HRW. https://www.hrw.org/sites/default/files/reports/afghanistan0911webwcover.pdf. Accessed on 24 December 2017. ———. 2015. “Today We Shall All Die:” Afghanistan’s Strongmen and the Legacy of Impunity. New York: HRW. https://www.hrw.org/sites/default/files/report_pdf/afghanistan0315_4up.pdf. Accessed on 24 December 2017. Hyland, Tom. 2010. “Our Mate, the Bloody Warlord.” The Sydney Morning Herald, August 8. http://www.smh.com.au/world/our-mate-the-bloody-warlord-20100807-11pd8.html. Accessed on 5 February 2018. IRIN. 2015. “Abuses Rise Along with Pro-Afghan Government Militias.” IRIN, September 7. http://www.irinnews.org/feature/2015/09/07/abuses-rise-along-pro-afghan-government-militias. Accessed on 3 February 2018. Lefèvre, Mathieu. 2012. The Afghanistan Public Protection Program and the Local Defense Initiatives. Kabul: Afghanistan Analysts Network. https://www.afghanistan-analysts.org/wp-content/uploads/downloads/2012/09/11_Lefevre_The_AP3_and_the_LDI.pdf. Accessed on 24 March 2018. Loyd, Anthony. 2008. “Former Drug Lord Koka Is NATO’s New Poster Boy and Police Chief.” The Times, July 11. http://www.thetimes.co.uk/tto/news/world/asia/article2608863.ece. Accessed on 5 February 2018. Nordland, Rod. 2017. “In Afghanistan, a Destructive ‘Game of Thrones’.” The New York Times, August 18. https://www.nytimes.com/2017/08/18/world/asia/in-afghanistan-a-destructive-game-of-thrones.html. Accessed on 5 February 2018. Raghavan, Sudarsan. 2015. “CIA Runs Shadow War with Afghan Militia Implicated in Civilian Killings.” The Washington Post, December 3. https://www.washingtonpost.com/world/cia-backed-afghan-militias-fight-a-shadow-war/2015/12/02/fe5a0526-913f-11e5-befa-99ceebcbb272_story.html?utm_term=.5a2299950b77. Accessed on 24 December 2017. Rassmusen, Sune Engel. 2016. “Afghanistan Funds Abusive Militias as US Military ‘Ignores’ Situation, Officials Say.” Guardian, December 26. https://www.theguardian.com/world/2016/dec/26/afghanistan-us-military-militia-funding-human-rights. Accessed on 2 February 2018. Reuter, Christoph. 2009. “The Warlord of the Highway.” Vice, November 2. https://www.vice.com/en_us/article/ppzb8z/warlord-of-the-highway-226-v16n11. Accessed on 5 February 2018. Rubin, Alissa J., and Sangar Rahimi. 2012. “Afghan Officials Cite Revenge Killings in Latest Outbreak of Ethnic Hatred.” The New York Times, August 3. http://www.nytimes.com/2012/08/04/world/asia/9-afghans-killed-in-latest-ethnic-violence.html. Accessed on 22 March 2018. Sarfraz, Abdul Matin, and Rod Nordland. 2012. “Afghans Protest Vengeful Militias.” The New York Times, September 2. http://www.nytimes.com/2012/09/03/world/asia/afghan-villagers-protest-vengeful-militias.html. Accessed on 10 February 2018. TLO (Tribal Liaison Office). 2008. Land Based Conflict in Afghanistan: The Case of Paktia. Kabul: TLO. http://www.tloafghanistan.org/Land%20Based%20Conflict%20in%20Paktia%20(2008).pdf. Accessed on 16 April 2018. UNAMA (United Nations Assistance Mission in Afghanistan). 2013. Afghanistan Mid-year Report 2013: Protection of Civilians in Armed Conflict. Kabul: UNAMA. https://unama.unmissions.org/sites/default/files/2013_mid-year_report_eng.pdf. Accessed on 16 April 2018. ———. 2014a. Afghanistan Annual Report 2013: Protection of Civilians in Armed Conflict. Kabul: UNAMA. https://unama.unmissions.org/sites/default/files/feb_8_2014_poc-report_2013-full-report-eng.pdf. Accessed on 3 February 2018. ———. 2014b. Afghanistan Midyear Report 2014: Protection of Civilians in Armed Conflict. Kabul: UNAMA. https://unama.unmissions.org/sites/default/files/english20edited20light.pdf. Accessed on 12 December 2017. ———. 2015a. Afghanistan Annual Report 2014: Protection of Civilians in Armed Conflict. Kabul: UNAMA. https://unama.unmissions.org/sites/default/files/2014-annual-report-on-protection-of-civilians-final.pdf. Accessed on 12 December 2017. ———. 2015b. Afghanistan Mid-year Report 2015: Protection of Civilians in Armed Conflict. Kabul: UNAMA. https://unama.unmissions.org/sites/default/files/unama_protection_of_civilians_armed_conflict_midyear_report_2015_final_august.pdf. Accessed on 11 April 2018. ———. 2016b. Afghanistan Midyear Report 2016: Protection of Civilians in Armed Conflict. Kabul: UNAMA. https://unama.unmissions.org/sites/default/files/protection_of_civilians_in_armed_conflict_midyear_report_2016_final_rev.1-9sept.pdf. Accessed on 19 March 2018. ———. 2017. Afghanistan Midyear Report 2017: Protection of Civilians in Armed Conflict. Kabul: UNAMA. https://unama.unmissions.org/sites/default/files/protection_of_civilians_in_armed_conflict_midyear_report_2017_july_2017.pdf. Accessed on 12 December 2017. United States Congress House Committee on Oversight and Government Reform. Subcommittee on National Security and Foreign Affair. 2010. Warlord, Inc: Extortion and Corruption Along the US Supply Chain in Afghanistan. US House of Representatives. https://www.cbsnews.com/htdocs/pdf/HNT_Report.pdf. Accessed on 5 February 2018. Van Bijlert, Martine. 2013. Security at the Fringes: The Case of Shujai in Khas Oruzghan. Kabul: Afghanistan Analyst Network. https://www.afghanistan-analysts.org/security-at-the-fringes-the-case-of-shujai-in-khas-uruzgan/. Accessed on 31 January 2018. Wilder, Andrew. 2007. Cops or Robbers? The Struggle to Reform the Afghan National Police. Kabul: Afghanistan Research and Evaluation Unit. https://www.ecoi.net/en/file/local/1222549/432_1186393076_cops-or-robbers-reforming-the-anp-ip-1.pdf. Accessed on 21 March 2018.